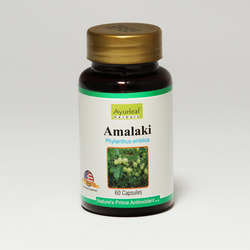 We are a leading Manufacturer & Exporter of Digestive Food Supplements such as Amlaki Rasayan, Herbal Cure for Digestion, Herbal Healthy Digestion, Psyllium Husk, Herbal Digestive Care Isapgulu Capsules, Amalaki Capsules and many more items from India. 2 Capsules once a day before meals. Moringa Capsules We bring the goodness of moringa to our customers in the form of Moringa Capsules . Moringa is highly regarded for being rich in nutrients and offering several health benefits. 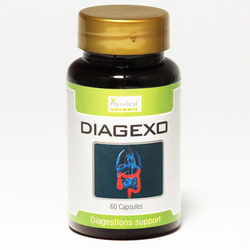 We are highly active in supplying and trading superb quality Digestion Support Diagexo Capsules. The stomach is the root of the human body. It needs to be nourished. If it has any imbalance or disorder it can create several kinds of indigestion.These products contain two important medicinal herbs that can keep the stomach in order. 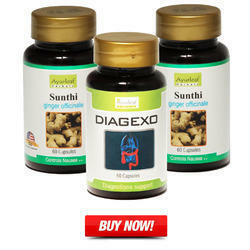 They are Triphala and Himej which increases its' efficiency for prolong period of time. The science of Ayurveda attributes utmost Psyllium Husk importance to one’s digestive functions and bowel movements. According to ancient Ayurvedic texts, a human being with a healthy digestive system is blessed and considered to be truly healthy of mind and body. But that’s easier said than done because Constipation is an extremely common condition prevalent around the world. Caused due to a variety of conditions like lack of fiber, lack of fluid intake, pregnancy, certain medications or lack of proper exercise, Constipation can cause tremendous discomfort. The problem with synthetic laxatives is that they may cause permanent dependency. 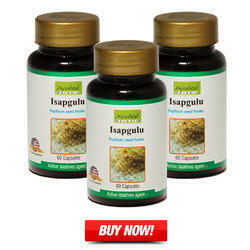 Isapgulu or Psyllium Husk on the other hand is a safe and naturally occurring herb that stimulates bowel movement and acts as a safe laxative. 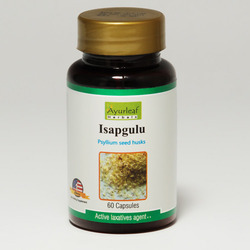 We offer Isapgulu Capsules to our esteemed customersHerbal Digestive Care Isapgulu Capsules. It is widely acknowledged for its ability to combat indigestion and other stomach related problems. Its regular consumption keeps the digestive system in perfect order. It is made of psyllium husk and is a rich source of dietary fibre. We make these capsules available at competitive prices. It is used to strengthen the immune system of the body and often is used to control the acidity in the stomach. It improves the lungs function. If the patient complains of debility, or diabetic asthenia also it is an excellent cure. Description: Bleeding piles can be very painful. There are nine different medical herbs that have been used to make this remedy effective. Several patients have used it successfully.The herbs used areSuran (Amorphophallus Campanulatus) 50 mg, Limdo (Malia Azadirachta Seeds) 15 mg, Daru Haldi ( Berberis Asiatica) 20 mg, Sonamukhi ( Cassia Angustifolia) 10 mg, Amlaki (Phylamthus EMblica) 15 mg, Kanchki (Caesalpenia Bonducella) 10 mg, Aritha ( Sapindus Trifoliatus) 150 mg, Baheda (Terminalia Belerica) 15 mg and Harde ( Terminalia Chebula) 15 mg.
Benefits: This is a proven remedy for bleeding piles, and also dry piles. It can cure constipation and make the bowel movement smoother. It can also cure fistula, fissure and internal pain. The stomach is the root of the human body. It needs to be nourished. If it has any imbalance or disorder it can create several kinds of indigestion. This remedy contains tow important medicinal herbs that can keep the stomach in order. They are Triphala 150 mg and Himej (Terminalia Chebula) 150 mg. If the patient complains of stomach diseases it is designed to cure and improve the digestive tract. It can cure indigestion, anorexia and gastritis. There are no foul gases, constipation. The stomach is cleansed and healthy. 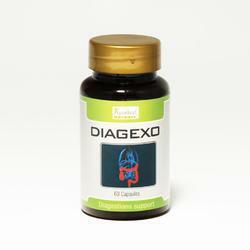 Apart from curing indigestion, Diagexo is also helpful in curing anorexia and gastritis. It relieves the human stomach of foul gases and helps get rid of constipation. Constipation and flatulence are not just mere stomach problems, but also cause much other harm to the body. 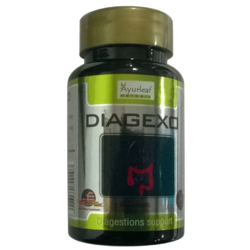 Hence Diagexo can regulate bowel movements and make them regular for a long time. 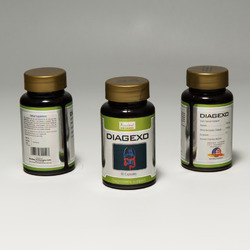 Diagexo should be taken one or two capsules daily after meals with warm water help digestion improve. 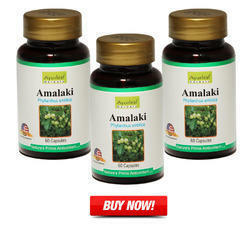 It is a one hundred percent natural herb and does not have any preservatives added to it. It treats congestion, cold and revives the organic functions that are weak. 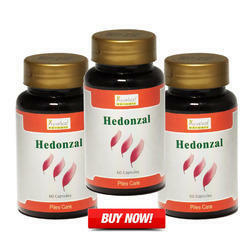 It has aphrodisiac properties that strengthens the functioning of the reproductive organs. It energizes the reproductive organs. It increases the sperm count in men. 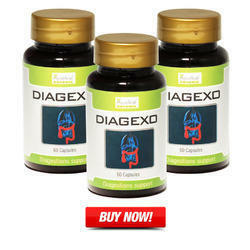 It is digestive and anti-mucus powder that improves respiratory & gastric function.